Humans have different shades and taste of life which includes a different kind of emotions expressing love care, sadness, happiness and fear which are few of the common sensations. These emotions are also expressed through various entertainment modes like movies. Basically, movies are categorized into four forms those are action movies, thrillers, science fiction and horror movies. Horror movies are those that evoke intellectual and mental reactions like raised heartbeat through shocking and instant graphic effects. Such terrifying stories are taken from few horror novels or from real life based paranormal activities. Undoubtedly, such movies are liked by lot of people but sometimes it may cause some unexpected results. The ideas for the horror movies are also sometimes related to unpleasant dreams, fears and illusions. There are some supernatural powers depicted in the movies like ghosts, evils, witches and many more. These horror movies have a great influence on community who watch these movies. Sometimes horror movies help to make the masses to get awareness about the things that happen around but are neglected by humans. Few movies have concepts taken from history of different places, cities or countries. The design and graphical aspects of such movies have a great affect on the viewers which also includes terrifying sound effects followed by horrifying views. The illusions are so powerful that sometimes they leave everlasting effects on human beings. The horror movies are liked by all age groups especially the teenagers and the hostlers. Friends seat together in a group of three to five and watch horror movies enjoying its each and every action and give unpleasant reactions. But sometimes people who are weak by heart must avoid such movies as it may have some negative results, therefore, it’s much preferable to watch such movies in a group instead of watching it all alone. Such movies act as stress buster for few while for others they may become the reason of stress so it depends on the likings of an individual. The most positive aspect of horror movies it that it makes an individual ready to face any odd situation at anytime and helps to overcome one's phobia. There are many horror movies that are released in a year but among a large list there are only few that are worthy to be watched. Here are some popular horror movies which must not be missed by the viewers. So let’s go on a terrifying ride. 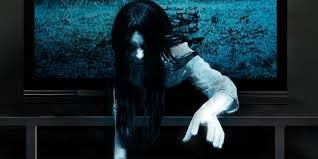 The grudge is an American supernatural movie which was released on 22 October 2 004. The movie revolves around some supernatural events with frightening sound and visual effects. This movie got great success on box office. The movie has a curse as its base this curse is born when someone dies in sorrow or with some negative feelings. It is a chain of terror as one victim dies the new one gets born and the curse continues. The same story begins in a happy family whose life becomes hell due to this curse. Its advisable not to watch this movie all alone. The conjuring is based on some paranormal activities directed by James Wan. The story is about a family having five daughters who shift to an farmhouse to live. Paranormal activities start from the first night itself. The wall clocks stop at exactly 3.07 and the dog is found dead at the backyard in the next morning. The girls also experience many such activities. At last they are rescued by Ed and Lorraine from the effect of a witch. Insidious is a American-Canadian horror movie directed by James Wan. The center of the story is on a couple who have a son and their son enters the world of daemons. The evil souls try to inhibit the boy’s body in order to live again. 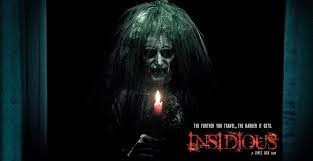 The film got huge success on box office and insidious followed further sequels of chapter 2, 3 and 4.the musical effects in the movie are remarkable that develops inner fear among the views. This Korean horror movie which deals with the story of two siblings how they left a mental hospital and then entered the world of daemons. The movie has very frightening scenes which can cause even strokes to the viewers so it’s advisable to watch it with friends. This is a story of 12 years old boy that enters an orphanage where his life becomes hell. A spirit pays a regular visit to the boys in disguise of a child. The movie is worth watching as the light effects are extravagant. The movie has center on a lady who faces number of furious looking witches. The movie covers the whole screen with blood and thus it can be said that it is an bloody horror movie which shows blood all around coming from anywhere. 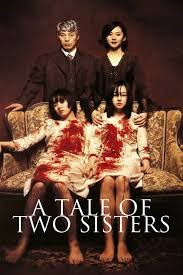 The movie has breath taking scenes as the movie revolves around the story of a little girl who is possessed by a daemon. The screaming’s and crying of the girl will shale you up from your bed and will cause you to think thousand times before going out to toilets. This is an American supernatural horror movie released in US on 3 October 2015. The movie got good reviews and the story is based on a doll and this doll itself is Annabelle that kills people. 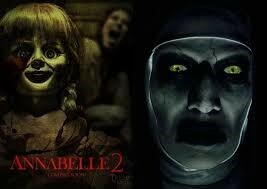 The movie needs to be seen in a group as Annabelle picturised in the movie seems to be real and watching you. It is an American horror movie in which a family suffers a lot. The ghost gets attracted to one of the characters in the movie carol Annie and communicates only with her. 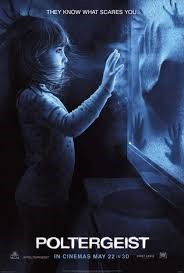 The ghost is awful to see and the girl inhibits a fear within which takes a very dangerous phase.